ï»¿ SIFONI I DELOVI cenovnik - Itim d.o.o. BONOMINI FLEXI CEV SIFONA BEZ PILETE 5/4"
BONOMINI FLEXI CEV SIFONA BEZ PILETE 6/4"
BONOMINI PILETA MS HROM 5/4"
PODSKLOP SIFONA ZA KADU MS 5/4"
PODSKLOP SIFONA ZA KADU MS 6/4"
SIFON TEHNOEXPORT BEZ PILETE 5/4"
SIFON TEHNOEXPORT BEZ PILETE 6/4"
TEA CEV SIFONA 200X300 F32 79.360.5. TEA CEV SIFONA 220X250 F32 79.410.5. TEA CEV SIFONA FLEXI L 300 85.300.5. TEA CEV SIFONA L 250 80.250.5. 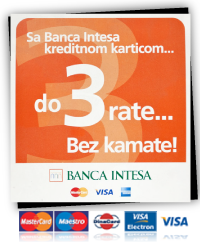 TEA CEV SIFONA L 300 80.300.5. TEA HIDRO IZOLACIJA 0.6 KG. 979.820.0. TEA HIDRO IZOLACIJA 5 KG. 979.850.0. TEA NADSKLOP LAVABOA BEZ PRELIVA SRAF 8532.310.5. TEA NADSKLOP LAVABOA F75 147.365.5. TEA NADSKLOP LAVABOA KLIK SA ILI B 7533.370.5. TEA NADSKLOP LAVABOA KLIK SA SRAF 8532.312.5. TEA NADSKLOP LAVABOA PVC-KLIK-KLAK 4830.360.5. TEA NADSKLOP PILETA NAVARO 542.742.5. TEA ODLIV ZA TUS KADU F 115 6261.078.8. TEA ODLIV ZA TUS KADU F 115 ČETVRTAST 6241.078.8. TEA ODLIV ZA TUS KADU F 80 6461.098.8. TEA ROZETNA ZA SIFON 115.220.5. TEA SIFON ZA LAVABO MS 20.711.5. TEA SPOJKA DUPLA SA 2 HOL. 102.480.5. TEA SPOJKA DUPLA SA GUMICAMA 102.106.5.